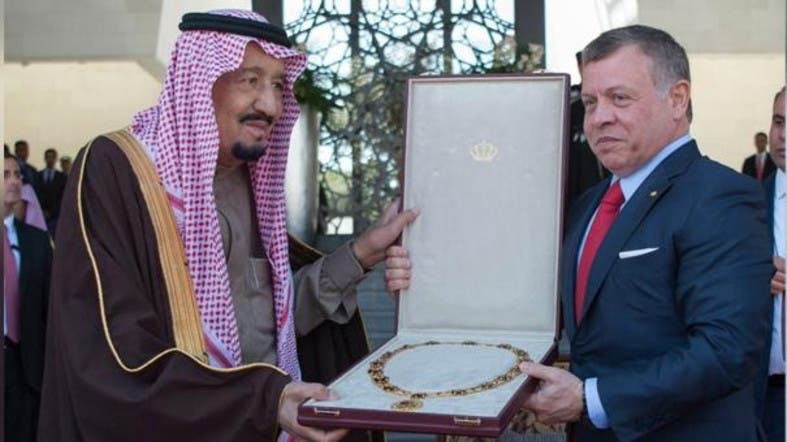 Saudi Arabia’s King Salman was presented on Tuesday with Jordan’s highest award for heads of state, during a special military parade in Amman. 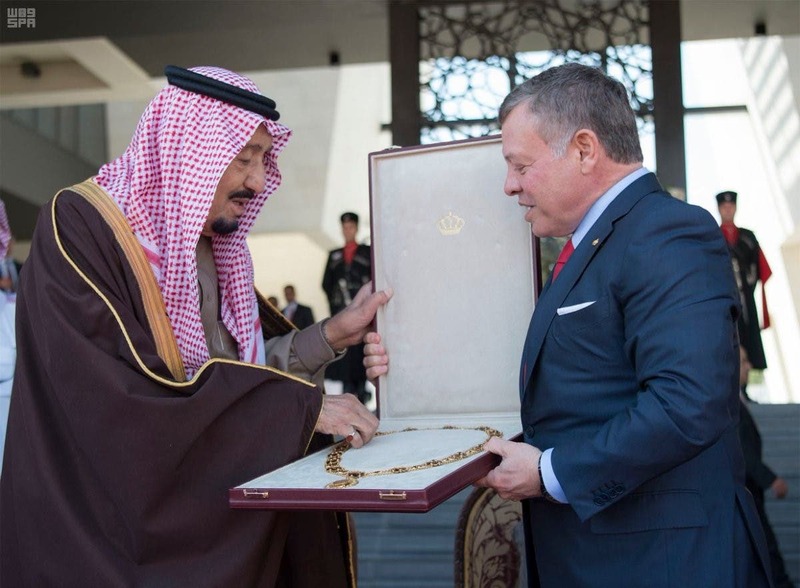 Jordan’s King Abdullah II presented the Al-Sherif Al-Hussein bin Ali necklace, Jordan’s highest civilian medal to King Salman during the parade at Al-Raya Square featuring the Jordanian Royal Guard Knight. The parade was attended by a number of Saudi princes, ministers and officials. 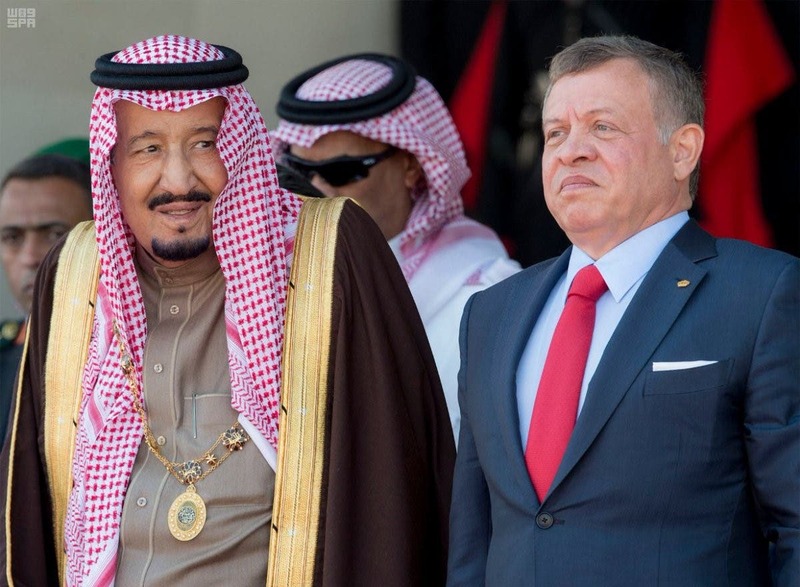 Saudi King Salman’s visit to Amman is considered his first to Jordan since taking the duties as Custodian of the Two Holy Mosques in January 2015. Meanwhile, the President of the Amman Industry Chamber Ziad al-Homsi stressed that the current visit of the Saudi King to Jordan gains special importance due to the distinguished relations between the two countries in all fields. 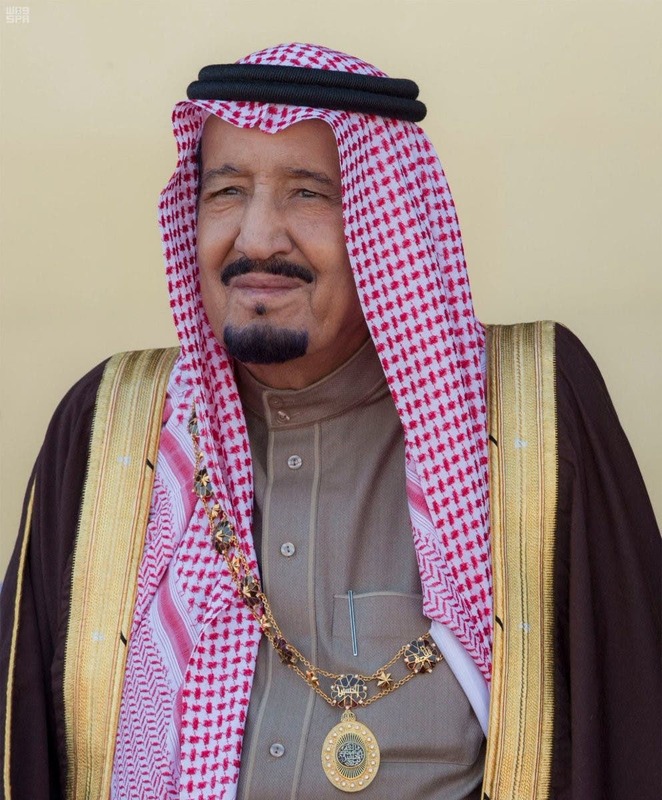 He said in a statement that the economic relations between the two Kingdoms are considered as a model to be followed, thanks to constructive communication and cooperation between the leaders and peoples of the two sisterly countries, noting that the Kingdom of Saudi Arabia is the most important trading partner to Jordan. He expressed his hope that this visit will result in economic decisions that contribute to increasing trade and investment relations between the two countries.